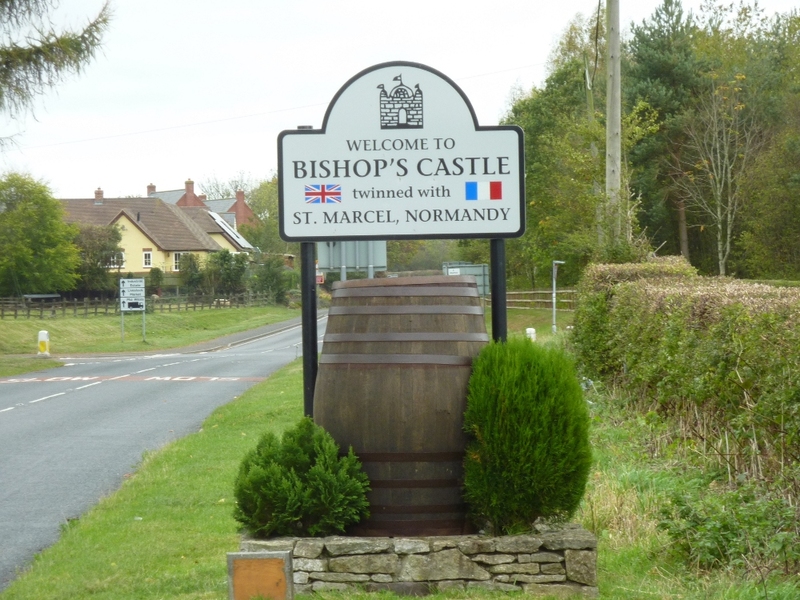 Bishop’s Castle is a small town, built on a hill deep in rural Shropshire, not far from the Welsh border. It derives its name from the castle built there in the 12th century by the Bishop of Hereford. This is a brewery town, a fact openly acknowledged by the tuns which sit proudly beneath the town boundary signs on the road sides (see above). Despite this being really a very small town, it boasts three Good Beer Guide pubs and two breweries, one at the bottom of the hill, and one at the top. At the bottom of the hill is the Six Bells Brewery, located at the back of the Six Bells pub, and at the top of the hill is the legendary Three Tuns brewery, next door to the Three Tuns pub. I’ll return to the Three Tuns in the next instalment, but for now, I’m going to concentrate on the Six Bells. The Six Bells Brewery was re-opened (or rather, a new brewery was opened with the same name) in 1997, after having been closed for about 90 years. The man behind this welcome move was Neville Richards, landlord of the Six Bells pub, and known universally as ‘Big Nev’. I visited the Six Bells on a Friday evening early in October. Faced with doors to two different bars, I randomly plumped for the left hand one (I was told later that this was the ‘posh’ bar). The bar is small and filled with tables and chairs, giving little room to move. It was full, too. This is usually a good sign for a pub so I made my way to the bar. 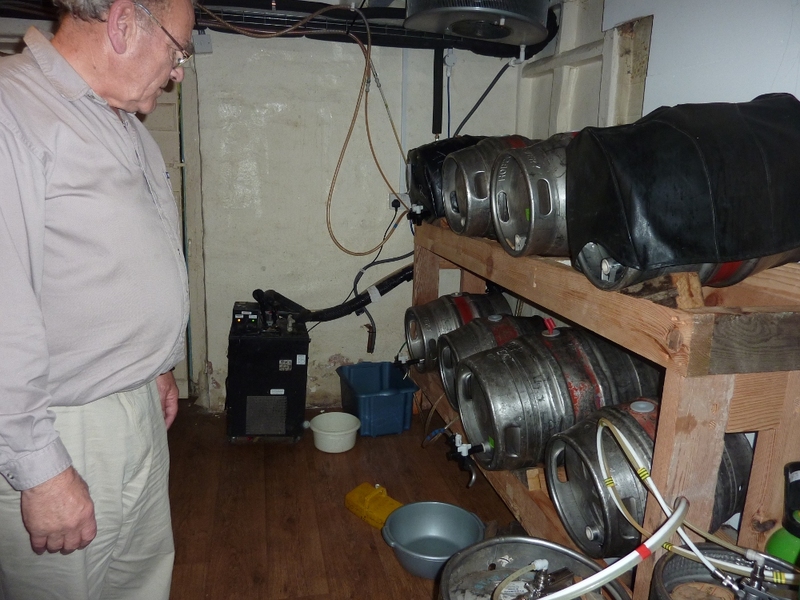 In this, the posh side of the pub, the bar is small, but three hand pumps were available, each dispensing a Six Bells brew. I had the choice of Cloud Nine, Supper and Noggin. I had already sampled Cloud Nine elsewhere. I had found it to be a light, gently hoppy beer. Very drinkable and at 4.2%, quite acceptable as a session ale. I opted first for the Supper, a 3.6% bitter. This is very good. The mouthfeel is smooth, and there is a tiny hint of cream. Malty flavours are accented by a small wisp of toffee. The aftertaste is long, and the taste fades to caramel, which is always pleasing. Next, I tried Noggin. Another bitter, stronger this time at 4.1%, the flavour is far more pronounced. Hoppy and malty notes predominate with a distinct throat rasping huskiness that makes me think of granary bread, and that this beer really should be doing me some good. Whilst I marked Noggin slightly down from Supper, I would still be happy to drink this beer at any time. Although I only had two beers from the Six Bells itself, I had the opportunity to sample some other Six Bells brews whilst in the area. In the Admiral Benbow in Shrewsbury, I spotted Six Bells Benbow IPA. At 3.6%, I’m not quite sure how this qualifies as an IPA, and I found it rather under-tasty. Slightly bitter, slightly hoppy, but not terribly exciting. Also on the bar at the Admiral Benbow was Bottom, a 4.3% brew that I presumed was a golden ale, but it’s described on the pump clip as ‘A Midsummer Night’s Ale’, hence the Shakespearean reference, I guess. It’s a very pale yellow in colour, almost greenish. This beer is light and noticeably sweet, though the sweetness fades midtaste and is replaced by a hoppy finish and a good bitter aftertaste. A few days later, I saw Six Bells Castle Bravo on the bar in the Castle Inn in Ludlow. I opted for half a pint, as I usually do when trying a beer for the first time. Castle Bravo is a 4.7% bitter, and a dark orange in colour. First impressions are that this beer is heavily spiced. I was fairly sure that the main added flavour was cinnamon, but there was something else, something green and earthy. I have tasted something similar in nettle beer. So is that what the other ingredient was? Nettles? I don’t know, all I can report is that it’s overdone, and the cinnamon and whatever-it-is do not go well together. I’m afraid Castle Bravo is fairly awful, and unusually for me, I didn’t finish it. On the whole, then, Six Bells beers left a favourable impression on me. I don’t expect to enjoy every beer I taste, and I’m sure there are people out there who will stand in Castle Bravo’s corner and fight for it. And that’s how things should be. Next outing, I’ll walk up the hill and sample beers from the Three Tuns Brewery. Leintwardine is a quiet, rural village in Herefordshire, close to the border with Shropshire. The unusual name simply means ‘enclosure on the River Lent’. The village sits on a Roman road about quarter of a mile from the little fort of Branogenium. It is believed that a mansio was built at Leintwardine, a mansio being a sort of inn for travellers along Roman roads. This is quite appropriate, for a very fine inn stands there today. 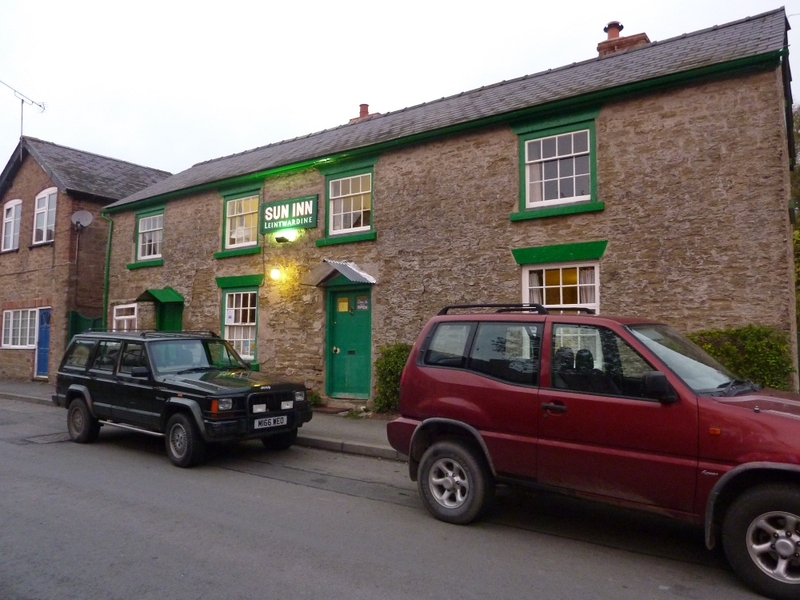 The Sun Inn is one of the country’s very few remaining parlour pubs. Listed as a beerhouse rather than as a pub in the 19th century, the Sun Inn is a surprising relic of times gone by. 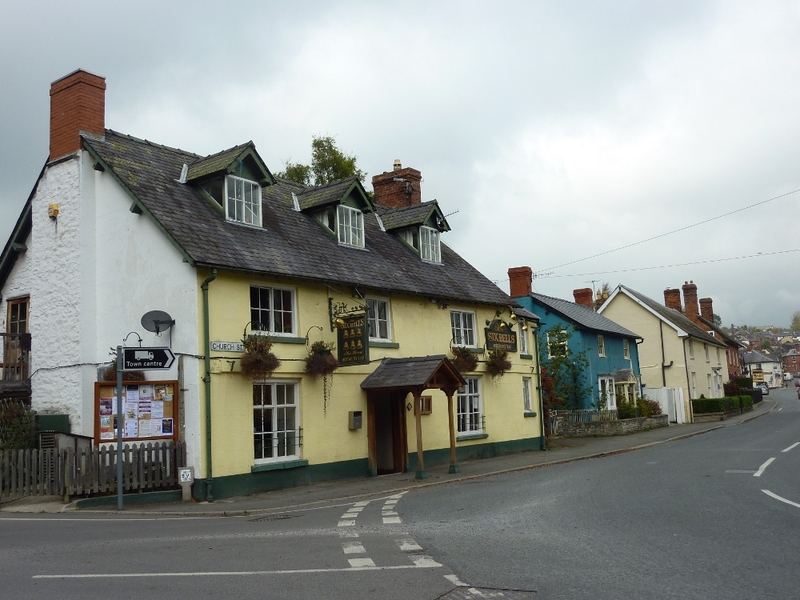 The Inn hit the headlines in 2009, when the owner, Flossie Lane, died. Flossie had been born in the Sun Inn in 1914, and had run the little pub for seventy years and with her death, the future looked bleak as there was no one to take up the reins. 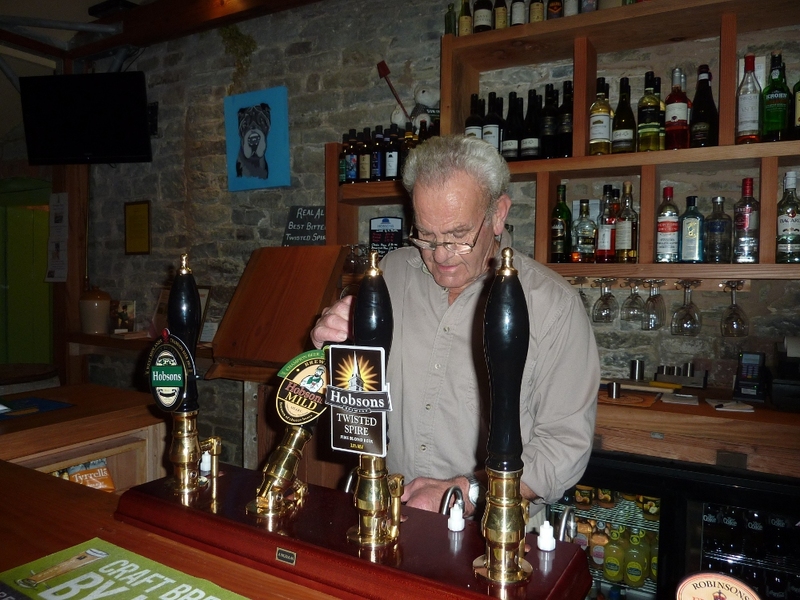 Fortunately, with the support of CAMRA and a local ‘Save the Sun Inn’ campaign, two men stepped up to save the pub – Gary Seymour and Nick Davies. When I visited the Sun in October 2011, I found that the building had recently been considerably extended to the rear. 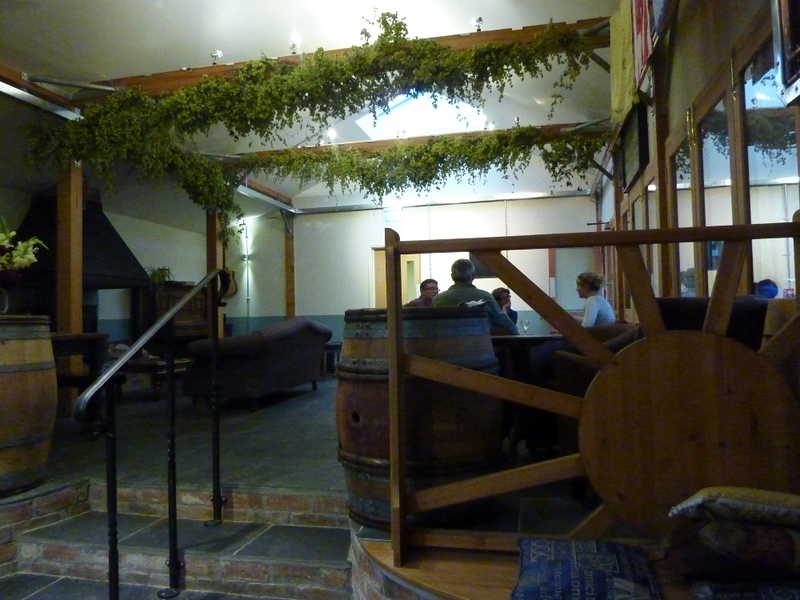 A very pleasant drinking space has been built, with a proper bar and comfortable seating. Behind the bar that night was John Ball, who kindly showed me around the place. 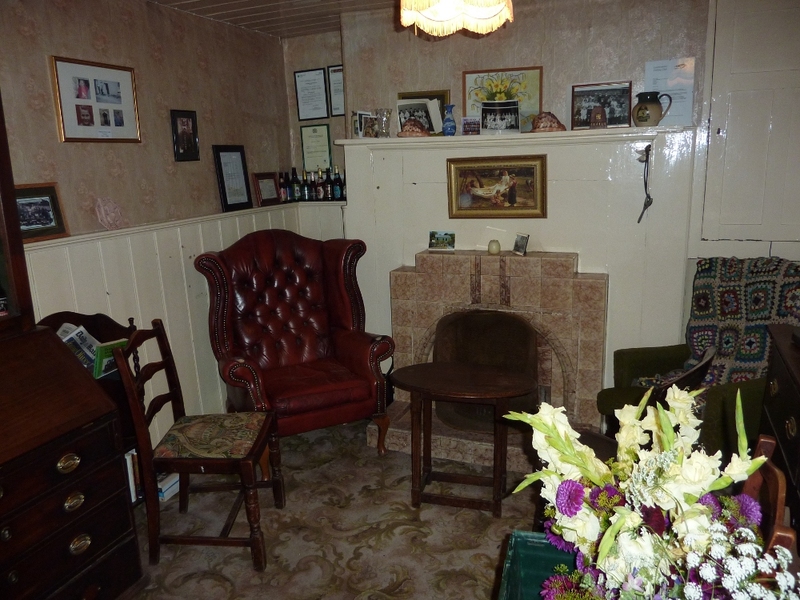 We walked into the original parlour, on your left as you enter the building. Through the next door was the cellar. Not a true underground cellar, a ground floor room, originally the kitchen, with barrels stacked on a new rack, and with new cooling plant installed. ‘People would just walk in,’ continued John, ‘Say hello to Flossie and come in here. They’d tap themselves a pint from the barrel and leave their money in these tins. That one’s for tenners, that one’s for fivers.’ The tins are still there, in a cupboard on the wall opposite the beer barrels. We then walked through into the public bar, empty of customers tonight, who all seemed to be in the new extension. A long table dominates the room – I’ve been told it’s an old coffin table. I’m not sure how to react to that because I don’t know what a coffin table is. Was it designed specifically to put coffins on? Would anyone buy such an item? How many deaths were they expecting? Just let me suggest that if your spouse buys a coffin table, run away. Terribly fast. ‘Here,’ said John, ‘You can be mayor for the night,’ and to my great delight, he placed the strange Sun Inn mayoral hat on my head. The Sun Inn is one of those peculiar places where pub ‘mayors’ are elected. This is not an ancient tradition, however, and only dates back to 1994. Having satisfied my historical curiosity, I wandered back into the new extension, marvelling at how sympathetically the addition had been made. I think (don’t quote me on this), that you walk through the original building’s back door to get into the new build. The new bar stands against the back wall of the old house, in what would have been the open air a year or so ago. On the bar that evening were Hobson’s Bitter, Hobson’s Mild and Hobson’s Twisted Spire. I opted for the Mild, a 2011 CAMRA Beer of the Year. The tap spat and bubbled as John cursed. ‘Only had these pumps fitted today,’ he muttered as he went back to check the barrels. He came out again with a sheepish grin on his face. ‘Turned the wrong tap off,’ he said. This time the mild flowed freely. Smooth and malty with a definite coffee flavour. Plenty flavour here. There may be some purists out there who may moan about what has happened to the Sun Inn. It’s now got a real bar, with real pumps, and when you’re in the new bar, there is no sense of the history of the place. I disagree. I think the current owners have done a superb job, balancing the need to retain the historic pub (which internally is totally unchanged) and the need to make the Sun Inn into a realistic commercial proposition. There is a real contrast between the old Sun and the new Sun, but they do not clash, and whilst you can no longer pour your own beer and leave the money in an honesty tin (come on! 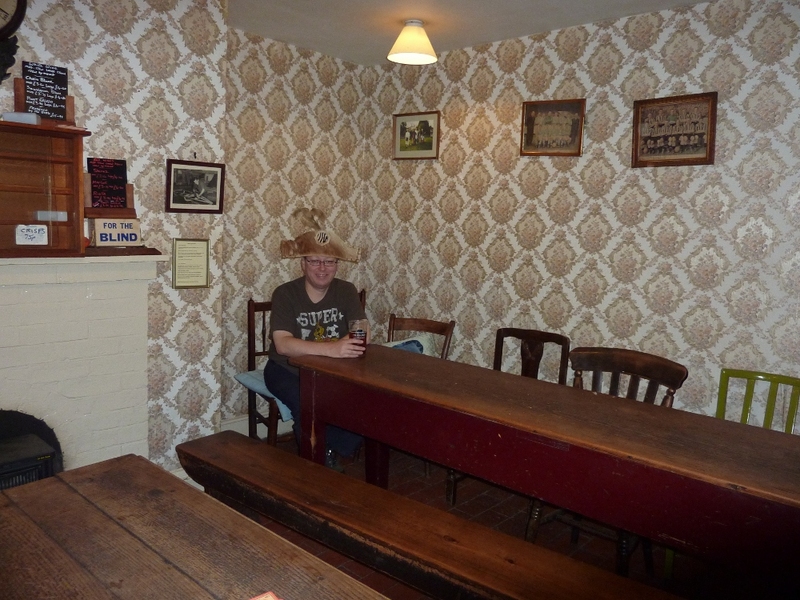 ), you can still sup your pint sitting at the coffin table in the public bar. The Sun Inn, whether you’re in the old part or the new, is simply a really nice place to be. Well done, Gary and Nick, you have succeeded superbly! Now established for over ten years, the Wylam brewery of Heddon on the Wall in Northumberland, supplies over 200 pubs in the north east. On a recent trip to Northumberland, I bought three bottled ales from this brewery. First up was Admiral Lord Collingwood Festival Ale, brewed in 2010 to commemorate the 200th anniversary of Collingwood’s death at sea. He was a contemporary of Nelson and fought beside him in many major battles, including Trafalgar. He is buried next to Nelson in the crypt of St Paul’s Cathedral in London, but his home was Collingwood House in Morpeth, Northumberland. This Festival Ale is a very pale orange in colour. The taste is sweet, with a nice, interesting honeyish midtaste, which fades gently into a fine, hoppy finish. This pale ale has a very nicely balanced, complex taste, and is a fitting tribute to one of Northumberland’s greatest sons. 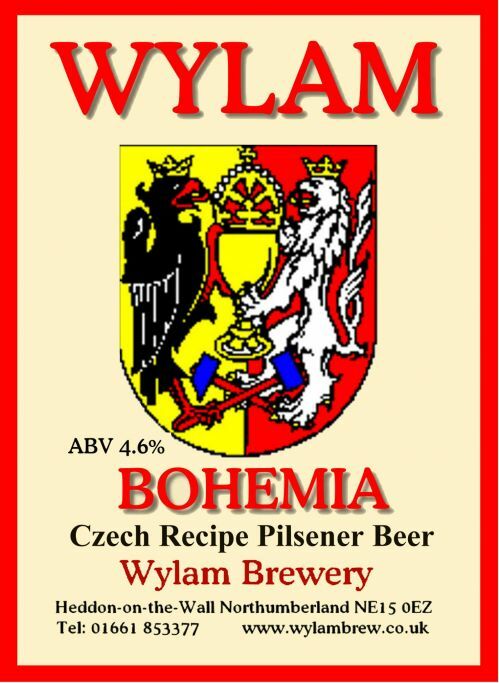 The next beer tried was Bohemia, described on the label as a ‘Czech Recipe Pilsener Beer’. Well, we all know of ‘Czech style pilseners’ that you wouldn’t want to wash your paintbrushes with, so it was with a certain trepidation that I approached this beer. I was in for a real surprise. The initial taste is instantly sweet, followed immediately by a quick rush of hoppy bitterness. The hop bitterness dies quickly to be replaced by another short, sweet, honey hit. At the end of the taste there is a final hoppy rush. Wow! What a great package of tastes – sweet, hop, sweet, hop.Now this is what a pilsener should taste like – fantastic! My final Wylam brew was Rocket, a 5.0% best bitter. It’s got a rich browny-orange colour, but my bottle failed to form a head. This beer is smooth and rich with an initial taste which has hints of treacle and a honeyish sweetness. Underlying this, and growing through the finish to the aftertaste is a satisfying slightly dry hoppy bitterness. During my trip to Northumberland, I only found these three samples of Wylam’s craft, but if I see any more at any time, I will have no hesitation in buying them. I’ve not had any of these beers on handpump, but I’ll certainly be looking out for them in the future. 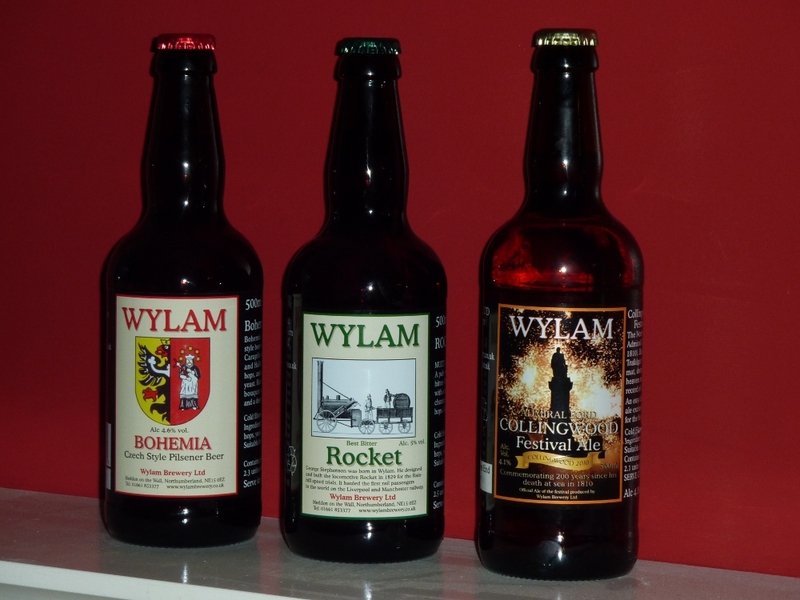 Wylam is another name I can add to my list of must-buys. Highly recommended. Wylam Brewery has two tap pubs, The Tyne, Ouseburn, Newcastle www.thetyne.com and The Black Bull at Wylam www.blackbull-wylam.co.uk . So if you’re in the area, why not check them out? To recap from my previous Pen-lon blog. I bought ten bottle conditioned ales from the Pen-lon brewery. I have already written up my tasting notes for the first five of these – Lamb’s Gold, Tipsy Tup, Cardi Bay, Heather Honey Ale and Chocolate Stout. The conclusions so far have been very favourable, so let’s see if the final five beers lived up to the expectations generated by the first five. These five are stronger than the first five, and we start with Stock Ram, a 4.5% stout. Black in colour (of course), the taste is strong, nutty and malty. The finish contains a hint of smoke and the aftertaste is warm, dark and chocolatey. Superb. Next is Twin Ram, a 4.6% IPA. The colour is darkish orange, it’s very lively with a huge head. The smell is fruity and hoppy. The flavour is strong, hoppy and spicy with a dryish, bitter and peppery finish. Great stuff! We break the 5% barrier with our next bottle, the 5.2% Gimmer’s Mischief, which is described on the label as a ‘premium ale’. The label also informs us that a ‘gimmer’ is a young maiden ewe. It’s a yellowish-orange in colour with a quite sweet, somewhat honeyish taste with distinct hints of orange. The lightly hopped ending of the taste gives a rounded, bittersweet finish. Staying at the 5.2% level, Ewes Frolic is a cloudy orange coloured lager. This beer produces no head on the pour, and I was concerned that maybe it had turned in the bottle. The taste, however belied this. It is Smooth, hoppy and very good. Finally, the strongest of my Pen-lon purchases was Ramnesia (these names do little to dispel the stereotype of the Welsh fascination with ‘dafad’*) at a very respectable 5.6%. The colour is a luscious red. The taste is smooth and fruity with hints of toffee and pepper. A short burst of malt at the finish gives way to a short, bitter aftertaste. This is good beer. That completes my tour of ten of Pen-lon bottled beers. I can honestly say that there isn’t a single one of them that I wouldn’t happily drink again. Usually, there’s one which lets the side down a bit, but not here. These beers are carefully crafted and I had ten completely different taste experiences. I can say that drinking these ten bottles over a period of a few days gave me one of the most consistently enjoyable drinking experiences I’ve had in some time. Heartily recommended – all of ’em. Image is copyright Pen-lon Brewery, words are my copyright, please respect that. All you have to do is ask. Thank you.